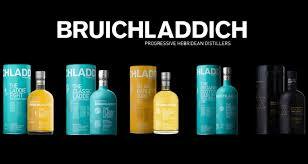 If you’re not familiar with (or would like to learn more about) Bruichladdich, get yourself along to the Dark Horse on Wednesday 6 February and prepare to acquaint yourself with the multi-faceted joys of this thoroughly charismatic whisky: unpeated, floral and complex, trickle distilled from 100% barley using much of the original Victorian machinery. Abi Clephane – National Brand Ambassador for the progressive Hebridean distillers – will be in attendance to guide us through this splendid range of Islay Whiskies courtesy of a relaxed, friendly, in-depth masterclass in one of Bath’s most characterful, seductively charming environments. The £25pp ticket price includes a cocktail on arrival, a guided whisky tasting and cheese to nibble on while we sup. When the ‘official’ session ends, the Blackbird Bar will serve discounted cocktails accompanied by cool toons to keep the party swinging. The fun starts at 7pm (don’t make your complimentary cocktail wait! ), the masterclass begins at 7.30pm sharp, and the discounted drinks menu (including £5 cocktails) keeps the party going from 9pm, but be warned: tickets for the masterclass are strictly limited to a maximum of 16 spaces, so early booking is essential – clickety-click, quick!